Most of us know that it is better to give than to receive. The reaction you can receive from a well chosen gift can be priceless and well worth the hours of searching. If you are looking for the best reactions possible, it is even better to give gifts to children. 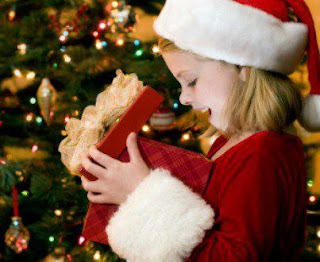 A child’s face can really light up as their tear through that gift wrapping paper, to get to that coveted gift inside. Their emotions are unbridled and the joy is evident, after all, continuing family traditions with children and the magic of the season is what the holidays are truly about. The Heart for Heart Girls ™ are changing the world one heart at a time. What if you could change the world just by buying a doll? You can, with Hearts For Hearts Girls™ dolls! Each doll is a girl that wants to make a difference in her life, community, and culture. When you buy a Hearts For Hearts Girls doll, a portion of the purchase price is donated to children’s causes in countries around the world. Get to know the girls who want to make a difference! 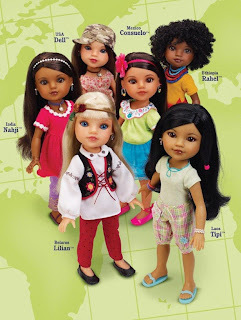 Every Hearts Girls doll represents a real girl from a real place around the world. Each has her own story to tell and ideas about how to make life better for her family, community, country, and the world around her. All Hearts For Hearts Girls dolls stand 14 inches high, are beautifully dressed in their ethnic clothing and have gorgeous hair that girls will love to style and play with. You can meet the Hearts for Hearts Girls at hearts4heartsgirls.ca: Nahji from India, Lilian from Belarus, Tipi from Laos, Dell from USA, Rahel from Ethiopia, Consuelo from Mexico. These make wonderful Christmas gifts due to their interactivity and educational nature. Pick one up today – they’re exclusively available at Walmart across Canada. Who says we can’t be cool while staying warm? Iscream carries everything from cozy plush kids blankets and fun microbead pillows to trendy lounge wear and accessories, all to fill your tween’s needs, staying stylish and up to trend. Visit Iscream and let’s have some fun!